HVC have been undertaking major building projects in Guernsey for over 10 years and have developed an enviable track record of delivering large projects in all sectors of the industry. Major achievements include the construction of the largest hospital in the Channel Islands in the last 25 years and also the largest multi-storey timber frame project in Guernsey. As leading Guernsey building contractors committed to successful outcomes for a diverse client base, HVC has a team of experienced and highly skilled building professionals able to undertake any type of construction project. As a Havard C&D Group company, HVC work from a sound financial foundation which allows us to deliver the largest projects within the Channel Islands. HVC strive to employ only local staff and labour and around 90% of the total Sub-Contract orders that have been placed within the last 5 years have been with local Sub-Contractors. We firmly believe in supporting the local Guernsey economy. Guernsey resident Mark has worked within the Channel Islands since 2001 and been an important member of the teams responsible for delivering some significant projects including Princess Elizabeth Hospital Phase 5 (£29M) and Phase 6B (£19M) and Le Rocquier School in Jersey (£16M). Mark believes in providing quality, value and service to Clients pre, during and post construction. Following a highly successful career playing rugby professionally for Wasps (with the occasional Barbarians cap thrown in), Richard returned to construction management and has held several senior positions within major construction companies. During this time he has amassed a wealth of knowledge the benefit of which he is applying to HVC. Shaun, who excelled in working for some of the most distinguished residential Contractors in the UK, relocated to Guernsey 2010 and has since been responsible for delivering some of HVC's most challenging projects including the replacement Slaughterhouse, Mont Arrive residential development and the refurbishment Les Ozouets Campus. Graham joined the team in 2015 and was responsible for leading the Construction Management team on our Stanlow Phase II construction management project. Graeme has worked all over the world in construction and is extremely experienced in all aspects of the industry. Graduating with a degree in Civil Engineering at the University of Rennes Stephan has lived and worked in Guernsey for over 10 years. Stephan has had two spells with HVC working on both Phases of our hospital projects, with a posting in the Reunion Islands in between. 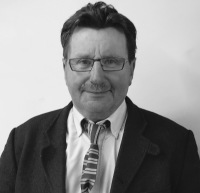 Tim has worked in the construction industry in Guernsey for over 40 years and brings a wealth of construction knowledge and experience to the team. 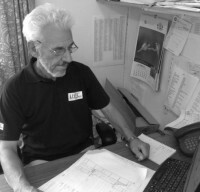 Tim is responsible for estimating HVC's works and knows and understands the market well therefore allowing us to provide value within our tendering process. When Tim is not estimating he can be found trying to get his golf handicap into single figures or catching a 10lb Bass. Katrina, who has extensive administrative and accounts experience, joined HVC in January 2015. 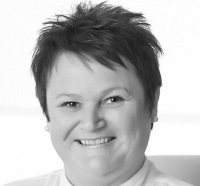 Katrina manages our head office at Pier Steps and also administers the company accounts and purchase ledgers. In addition to keeping the rest of the team on their toes.